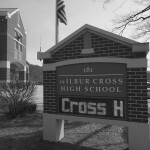 The long mid-morning class period, which lasts from 10:05 to 11:35, can be tedious if you’re a student at Wilbur Cross, a public high school in New Haven. On a rainy day in early April, class was especially tedious for one student, whom I will call Shawn. He was working in the school library’s computer room with his junior English classmates, and he was supposed to be researching a presentation on “Battle Royal,” the first chapter of Ralph Ellison’s 1952 novel, Invisible Man. It was a long period, the day was dreary, and Shawn hadn’t done the reading. Worse, his teacher, Michael Robin, was pushing him awfully hard, even though few others seemed to have done the reading either, and even though Shawn was one of five students in a class of eleven to have arrived in the classroom before the late bell rang. As the class period began, Robin explained that he wanted students to fill in gridded worksheets with information about the story’s author, quotations from the text, and their own analysis. By 10:38, the students had settled in the library with their Web browsers open. A few minutes earlier, Robin’s goal for the class had dropped to recording and analyzing four quotations apiece, but even that much seemed insufferably boring to Shawn. He copied and pasted the story he was reading from a Web site to a Word document, fiddling with the font. By 11:22, Robin was begging Shawn to find just two quotations, but Shawn was still reluctant. In the end, Shawn threw up his hands, saying impassively to his friend beside him that he didn’t care. It didn’t matter. After class, his mood was markedly low, quiet. Shouldering his backpack, he told me he wasn’t on his A-game. While Shawn left the library as quickly as he could, I asked his classmates whether they had ever heard of something called New Haven Promise. Yes, they had. But they didn’t think that many people they knew would actually qualify for the scholarship program, which will begin this September to fund tuition at any in-state public university for graduates of New Haven’s high schools who meet its requirements for good behavior, academics, and residency in New Haven. Most people, they told me, weren’t focused on their grades—only on passing enough classes to graduate high school. Students who spoke to me at four of New Haven’s high schools said some of their classmates find it hard to understand why they should work at all in high school when they can’t afford college anyway. “Some of these kids are slipping,” said Diana Hernandez-Degroat, a guidance counselor at High School in the Community. “The cost of college, some of them think it’s too expensive and they can’t go.” Those behind New Haven Promise plan to change this. They have stated a goal to halve New Haven’s high school dropout rate in five years by allowing all students to think of college as a possibility. Any student who lives in New Haven and attends one of the city’s public schools is eligible to receive Promise funds, scaled according to how long they’ve studied in-district—and so long as they have an attendance rate of 90 percent, complete forty hours of community service, and maintain a 3.0 GPA. The program will be phased in gradually, with current high school seniors receiving 25 percent of tuition and current freshmen, 100 percent. (It will take into account current seniors’ senior-year GPA only and only the hours of community service they’ve completed since last fall.) The Community Foundation for Greater New Haven has taken on the program’s operation from a small office with a handful of staff and a busy whiteboard, and Yale University will guarantee the scholarship’s funding for four classes of students, for up to four million dollars each year, after which the program will be reviewed. The program aims not only to provide students with college funding, but also to revitalize the city’s economy. The greatest hope for Promise is that it will create a college-going culture in New Haven’s schools, explained Emily Byrne, the program’s director. She believes that the program’s requirements will incentivize students to stay in school and strive for a B average. “We’re like the golden carrot for these kids,” she said. In the field of education, creating incentives can be tricky. Recently, Harvard economist Roland Fryer tested what happens when children are paid to learn. When Fryer’s team paid Dallas second graders two dollars for each book they read, students read many more books, and their reading comprehension scores increased measurably when tested. In New York and Chicago, however, where Fryer’s team told students they’d pay them for good grades or test scores, students didn’t do any better on standardized tests (though their grades did go up because they attended class more regularly). If you’re a student at one of New Haven’s public high schools, you might be able to rise to the challenge set by New Haven Promise, but you might not. Even if earning Promise funds seems an attractive enough incentive to tug you through 13 years of schooling, you’ll still need to be helped along the way. It was hard for me to tell what exactly made Shawn so resistant to work that April morning. Similarly, what it will take to create a true college-going culture in New Haven is a riddle—the one that those behind New Haven Promise hope to solve. As its first students to benefit from Promise prepare to go off to college this fall, New Haven is poised to test their answer. “THIS WILL BE THE MOST SIGNIFICANT ANNOUNCEMENT EVER MADE IN NEW HAVEN,” wrote Jessica Mayorga, then New Haven’s director of communications, in a press release before the program was announced last November. “Who’s that district that people look to, to be a model? We think that it’s New Haven,” Byrne told me. “With this program, with Promise added to it, it becomes a beautiful example of what education reform can be.” She referred to School Change, the package of reforms rolled out by Mayor John DeStefano, Jr. in February 2009. The mayor has repeatedly stated a goal to make New Haven the nation’s best urban school district—a tall order, given that the city’s public schools have long rested at the bottom of the achievement gap between rich and poor school districts in Connecticut, which has the widest such gap of any state. The state’s neighbors—New York, Massachusetts, and Rhode Island—all won funds in 2010 from the federal Race to the Top initiative, but Connecticut was not even a finalist. This is where the district stands. 89 percent of its tenth-graders scored below the goal level in Science on the Connecticut Academic Performance Test in 2009, with only 6 percent of school districts statewide scoring the same or worse. 83 percent of a representative group of New Haven students qualify for free or reduced-price lunches, compared to 30 percent statewide. (The percentage of students eligible for free or reduced-price lunches is often used as an indicator of economic need in a district.) New Haven’s schools have a dropout rate of 27.5 percent, meaning that of all the freshmen who matriculate at one of the city’s high schools, about a quarter won’t graduate. It was as he was beginning his campaign for reelection to an unprecedented ninth term that DeStefano, who sent his own sons to Wilbur Cross, first described what’s become his signature education reform initiative. New Haven Promise is only one aspect of School Change, which also includes strategies for ranking schools into tiers, evaluating teachers and administrators, and engaging parents and members of the community in education reform. DeStefano’s administration succeeded in reaching a new, reform-minded labor contract with the teachers’ union in 2009—a victory when in other districts across the country, and famously in Washington, D.C., disagreement between teachers’ unions and cities has caused standstill in reform efforts. “New Haven Promise, to me, could really only be a meaningful and optimal program if it occurred in the context of a set of investments, efforts, and energy,” DeStefano told me at his office. When the success of Promise is brought up for review in four years, its funders will also evaluate the success of School Change, knowing that one cannot succeed without the other. This is not the first time in its history that the leaders of New Haven have considered their city a model for the nation. In the 1960s, Mayor Richard Lee wanted to rejuvenate a city that was stuck after the war with decreased industrial production and no place to put its newly swollen population, many of them blacks recently arrived from the South, seeking work. Lee’s projects to clear so-called slums and make the city more accessible by cars won New Haven more federal funds for urban renewal per capita than any other city—and a nickname, the “model city.” But as the twentieth century wore on, New Haven declined further. Mayor Lee’s highway, the Oak Street Connector, had sliced through preexisting communities and fragmented them. Manufacturing fell off nationally, doing away with jobs the city had once relied on. New Haven reached a nadir of crime and poverty from which it’s since only partially recovered. New Haven Promise and School Change can be seen as the latest in a long line of measures intended to remedy the mistakes of the city’s past. On Monday, Tuesday, and Thursday afternoons, sunlight falls in long rectangles onto an array of music stands, two grand pianos, and a smooth hardwood floor in the recital room at the Neighborhood Music School on Audubon Street. The space comes alive when students spill in. Having completed the half-days they spend at various public high schools in the New Haven area, they assemble for meetings of a class called The Education Project. It’s the most recent in a string of classes on social justice theater taught at the Educational Center for the Arts, a half-day arts magnet school. 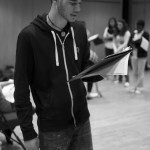 The class, led by Peter Loffredo, a teacher at ECA for 14 years, teaches students to use hip-hop theater to examine education. 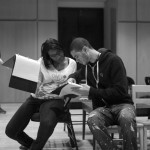 Over the course of the semester, they create and perform a full-length play on the theme. Loffredo and ECA have provided a place where they can. When I visited in early spring, the class had compiled an initial draft of their play, and they were at work revising it. They began class by clustering their chairs in a circle and reading aloud an outline of the script they’d composed jointly. Bullet points represented scenes, groups of scenes, or monologues in the form of raps. Bolded phrases were to-dos for the session. Later, Jones stood behind a grand piano wrapped in a quilted cloth cover, quietly testing the lyrics of a rap he’d written for the play, a beat issuing steadily from his open computer, one hand poised alertly on the keyboard. Jones was one of several seniors I spoke with who are on track to be among the first to receive funds from New Haven Promise in a few months. Jones has been accepted to the University of Connecticut and other state schools, but he plans to attend DePaul University in Chicago if he is accepted. Like some of his peers, Jones does not think that 25 percent of in-state tuition will be enough to influence his college decision. Then again, his financial situation is special. As he is a ward of the state, his tuition will be paid for completely at in-state colleges and up to $21,000 at colleges out of state. Characters in the working version of The Education Project script include “bored, uncaring teacher,” “racially profiled black girl trying to escape special ed,” and “Megan, 13, cries a lot, disabled, has panic attacks.” Jones told me he hopes the Board of Education will be in the audience when he and his classmates perform their play—not so that the board members will be embarrassed, but so that “maybe if they feel what we say is good, they can bring it up” and bring about change. “To me, Promise is very much a wealth-creation strategy,” Mayor DeStefano told me at his office, “and ultimately, a middle-class creation strategy.” Not only is the program a long-term investment in the economic potential of New Haven students, it could also stimulate property demand in the city. 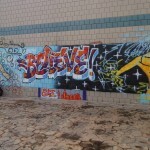 It is based on an initiative launched five years ago in Kalamazoo, Michigan, which has since inspired similar programs in eighteen other cities cross-country. Unlike New Haven Promise, the Kalamazoo Promise stipulates no cutoff GPA. Students need only live in-district to receive the scholarship, which can be put toward vocational school as well as college. “In Kalamazoo, it’s about transforming the entire community, so we believe it should go to all students,” said Bob Jorth, director of Kalamazoo Promise. The Kalamazoo Promise is intended to transform its host community mostly by encouraging parents of schoolchildren to move in. Census data showed an increase of five percent in the population of Kalamazoo County from 2000 to 2010, and an increase of 22 percent in enrollment in Kalamazoo Public Schools since the Promise program began in 2006. These initial data are hopeful, but it remains to be seen whether what worked in Kalamazoo will work in bigger, grittier New Haven. DeStefano first read about Kalamazoo Promise in a Wall Street Journal article in 2007, though it had generated chatter in the city’s offices prior to that. When Byrne first considered pushing for a Promise program in 2008, she and her colleagues surveyed New Haven students who had dropped out of college and found that financial difficulty was often the reason they were no longer in school. The proliferation of Promise programs also reflects a national paradigm shift in thinking about education reform. Rather than simply aiming to graduate students from high school, educators must instead focus on preparing them for college so they can succeed in an economy where a college degree matters more than ever. President Barack Obama has reminded the country that over the next ten years, nearly half of all new jobs will require some post-secondary education, and he awarded $125,000 of his $1.4 million Nobel Peace Prize award to College Summit, a nonprofit that seeks to bring curricula about post-secondary planning into public high schools. That dream is spreading. “I haven’t seen this community react as enthusiastically to anything else I’ve seen in New Haven,” said Will Ginsberg, president and CEO of the Community Foundation for Greater New Haven, which administers New Haven Promise. At the center of public enthusiasm, Ginsberg said, is Yale University’s agreement to underwrite the program. But it’s created a mild controversy among some Yale students, especially those who were participants in the Teacher Prep program that was cut by coincidence in the same week Promise was announced. “If this were an example of Yale caring about education, this is a very odd way to show their priorities,” said Brian Bills ’12. Bills heads the Ulysses S. Grant program, which places Yale students as teachers in New Haven during the summer, and he believes that the University should be using the money instead to fund research on education or professors who will turn more Yale students into teachers. Yet the people I interviewed were less concerned with whether Yale decided to fund Promise with an eye toward its public image and more excited about the program’s potential impact on the students it will help. Yale’s investment in New Haven has grown since Yale President Richard Levin took office simultaneously with DeStefano—New Haven Promise being a sign of the times—and most are happy about the opportunity this has presented to New Haven’s youth, especially if the University decides to fund Promise past these first four graduating classes. “There’s a lot of obstacles here,” Ginsberg added. “No one’s pretending school change will be easy.” These obstacles include the slowness of state-level education reform, according to Ginsberg; the difficulty of publicizing Promise among a community not entirely used to focusing on college, according to Byrne—and what to do when even a Promise worth thousands of dollars isn’t enough to get some students to earn B’s. “The problem—why I didn’t make the requirements—is I got lazy,” said Jerell Emery, a senior at Wilbur Cross High School who hopes to earn a degree in sociology and become a social worker. He wants to go to college in-state, is waiting to hear from Westerm and Southern Connecticut State University, and says that Promise would be a great help to his family, but Emery’s 2.2 GPA will bar him from receiving Promise funds unless he is able to improve it before the end of the year. We were sitting in the Career Center, an open room dotted with computer clusters, students gossiping about college acceptances, books titled School to Work, and UConn Huskies paraphernalia. It was the same day the Class of 2015 learned of its acceptance to Yale, but Emery was still unsure of his plans. “I started being distracted too easy, to roam around the halls a little too much—I was going through things a little bit. It’s a phase a lot of people go through. But I think that if somebody were to really, like, stick on me, and really be in my hair a lot, then I would meet the requirements.” In the parlance of Fryer’s study, Emery lacked the tools necessary to convert his effort to achievement. Byrne and her team hope to create support systems and build on plans for systemic reform in order to make the requirements of New Haven Promise simple and accessible, but until that happens, they may have on their hands a case like that of Fryer’s students in New York and Chicago. Emery would not place himself in that group. “I know a lot of people that are trying to turn their whole lives around, trying to get their GPA up, and trying to really get this Promise thing, or a scholarship to go to college, but they can’t because their GPA was a little bit too low, and they kind of messed up their first two years of high school.” He told me that he’ll try to work as hard as he can to earn Promise funding before the school year is out—and that it will be the biggest challenge he’s ever faced. “The problem with New Haven Promise,” Robin said, “is that the people who need this the most aren’t going to get this money. This money will go to good kids, don’t get me wrong…The kids who need this the most are the kids who are way below the poverty line, and the vast majority of those kids won’t see a dime of this money, because they won’t be able to meet the standards this program asks for.” He emphasized the importance of attracting good, new teachers to the district to help students reach their goals. The people behind New Haven Promise are aware of the hurdles they face, and alongside the scholarship they’ve unveiled a detailed plan to support students in reaching the program’s requirements. They plan to begin talk of college with students and parents in the elementary schools, and flag each year students who have slipped below Promise standards. They plan to create a College Corps of community adults who will go door-to-door explaining what students need for college to parents who may not even have finished high school. They have partnered with College Summit to bring a pilot curriculum about applying to college into the classroom at Cooperative Arts and Humanities High School, and will extend this program to two more high schools next year. Still, sometimes sorely needed changes have nothing to do with volunteers or curricula. A teacher at Cross who asked not to be named told me that the most effective recent change at the school was reducing its size. Over the past five years, the population of Cross has been reduced by about four hundred students transferring to recently opened magnet schools. Now, the hallways at Cross are less crowded, so there are fewer fights. You might be like Victoria Ortiz, also a senior at Metropolitan Business Academy, whose grandmother immigrated to New Haven from Puerto Rico, long ago. Ortiz feels deep loyalty to the city. “When you grow up in a community,” she told me, “you should want to give back.” She wants to study to become a nurse because after her hospitalization during a bout of sickness her freshman year, Ortiz felt indebted to her nurses’ kindness. Her mother, who is single, lost her job after taking off time to care for Ortiz, so New Haven Promise will be important in helping Ortiz to become a first-generation college student this fall. For her birthday, a friend gave Arnold a dorm-room sized fridge, and over the next few weeks, Arnold plans to tour Trinity and the other schools she’s been accepted to. She is quiet, with long brown hair, and is an enthusiastic reader. She recently read Hamlet with her AP English class and made it a personal project to commit to memory the prince’s most famous speech. The handful of people assembled included a few members of the community who started an after-school homework club for the neighborhood because many of the children there live with grandparents who may not speak English or be able to help them. They were quiet, attentive, nodding. They took the glossy pamphlets—“School Change Begins With Me,” “Making the Promise of College a Reality”—and asked only how they could best help get the word out to parents and students. 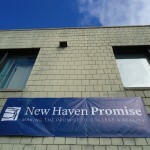 “It’s like expanding their world to show them the choice,” said Mary Anne Moran, another resident, of New Haven Promise. Finally, after several minutes, one of the parents whom McMillian was awaiting arrived, his teenage daughter in tow. “That’s my sunshine,” he said proudly, in accented English, as she took a pamphlet. She had to get going to choir rehearsal soon, he said, but in the meantime, he wanted her to hear about New Haven Promise. There was, after all, the chance she’d be among the first few generations of scholarship recipients. And then there was the chance she would not, the possibility that she’d end up someplace besides college, the cards stacked against her by history and circumstance. For the time being, however, Arreola switched to Spanish as she, the father, and the student opened the door to an adjacent room, where they’d talk over the details.